... and ii) the total amount total student loans, which currently amount to $1.48 trillion (nearly 50% more than all the credit card debt in America), is set to hit a whopping $3.3 trillion by 2024. Fast forward to this week, when a Brookings Institution report offered a new set of dire observations suggesting that "the looming student default crisis is worse than we thought." 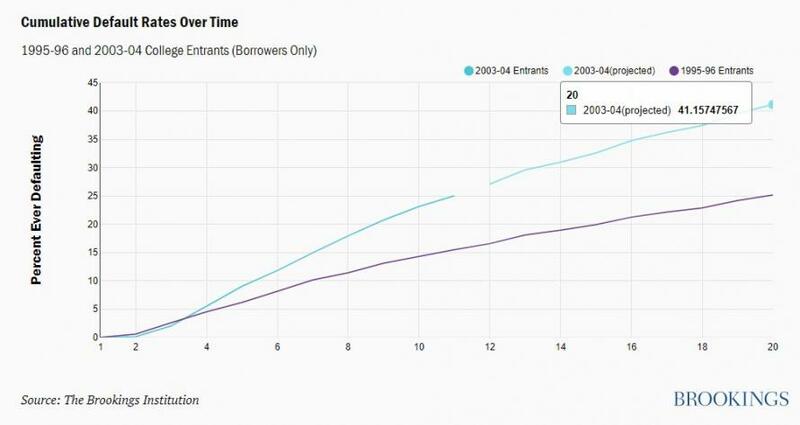 The analysis "suggests that nearly 40% of borrowers may default on their student loans by 2023," a staggering number if one assumes the TBAC's forecast that there will be roughly $2.5 trillion in student loans outstanding by 2020 (see chart above). It would mean that no less than $1 trillion in student loans will be in some form of default in two years, an outcome which will necessitate another indirect, if ultimately taxpayer funded bailout from the US treasury: recall that the vast majority of student debt is currently issued by the US government. 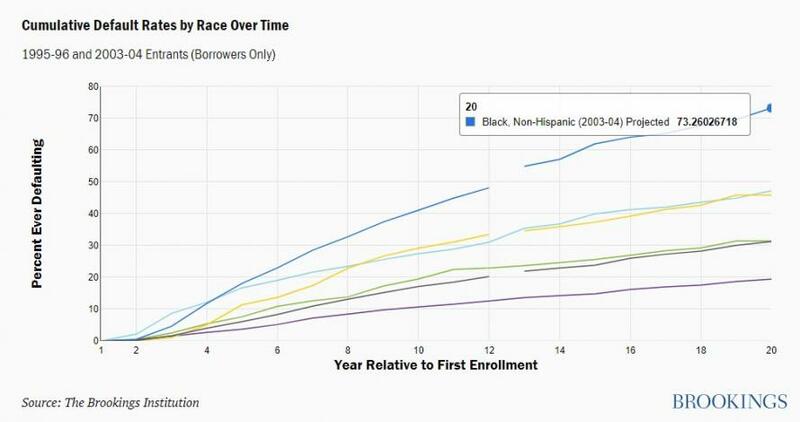 But while the overall rise in student loan defaults in coming years is hardly a surprise, a more troubling observation made by author Judith Scott-Clayton is that debt and default among black college students "is at crisis levels, and even a bachelor’s degree is no guarantee of security: black BA graduates default at five times the rate of white BA graduates (21 versus 4 percent), and are more likely to default than white dropouts." According to the author's conclusion, "the results suggest that diffuse concern with rising levels of average debt is misplaced. Rather, the results provide support for robust efforts to regulate the for-profit sector, to improve degree attainment and promote income-contingent loan repayment options for all students, and to more fully address the particular challenges faced by college students of color."